With 50+ references in Scriptures, the fig is the most mentioned fruit in the Holy Bible. The first instance is in Genesis 3:7, when Adam and Eve used fig leaves to clothe themselves. Figs are abundant in the Holy Land and the Middle East and is used in many regional recipes. Ancient Egyptians made a rolled pastry filled with fig paste. 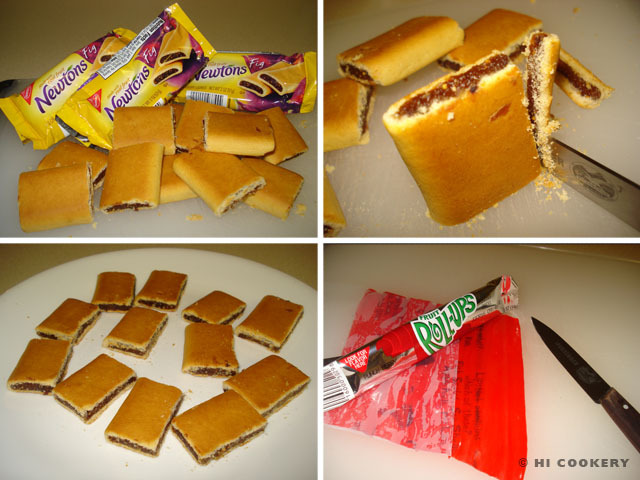 Nabisco brand’s Fig Newtons are a modern version of these sweet snacks. Going back to its biblical roots, we literally fashioned Fig Newtons into the blessed book. 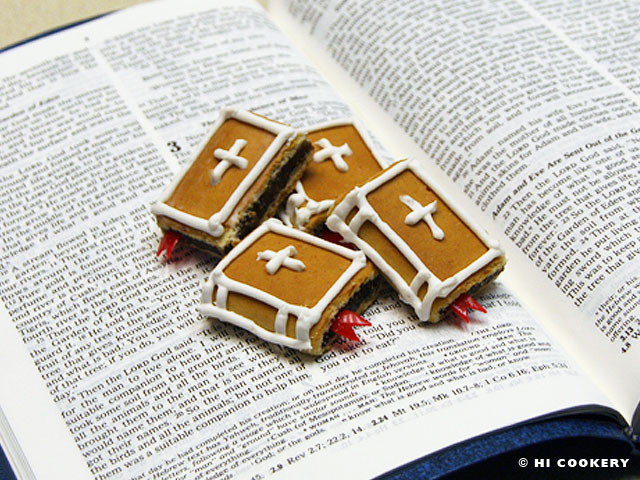 Fig Newton bibles are a cute cookie to serve for Sunday school, bible study, prayer group meetings and especially National Fig Newton Day! Slice each Fig Newton down one side instead of laying it flat for a cleaner cut. Set aside. Open a red fruit roll-up. 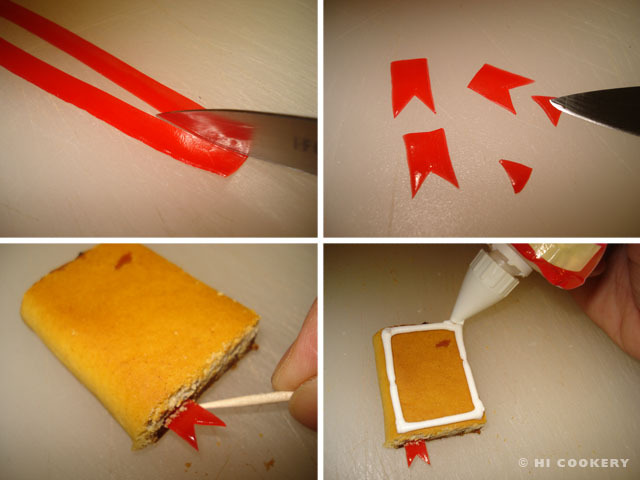 Slice the fruit roll-up into thin strips to make the bookmarks. Cut into smaller pieces with angled ends. Position the bookmarks on the bottom of one of the Fig Newtons using a toothpick. Use white icing from the tube to outline the book cover. Pipe in the spine of the book and add a cross on the cover. 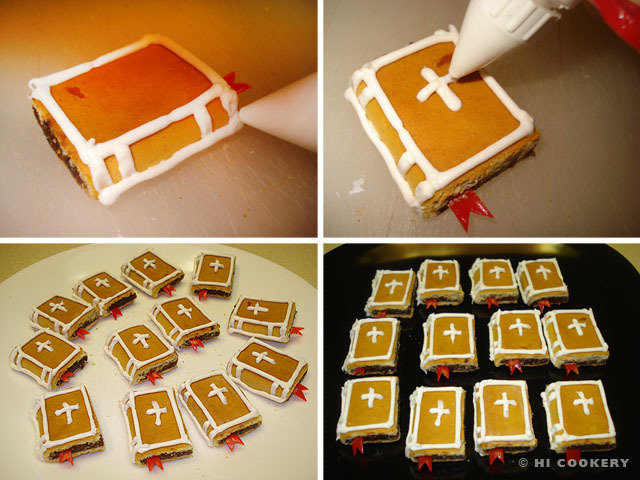 Allow the frosting on the Fig Newton bibles to dry completely. Arrange on a platter and serve.